In the ever expanding world of online gambling, casinos are always competing to entice new players to their brand with a great selection of games, a user-friendly experience and first rate graphics. The initial draw for many is the welcome bonus when choosing a new casino but with so many out there offering different rewards for signing up, it’s difficult to know what to pick. That’s where we come in, letting you know about the finer details of every deal so you can find one that is right for you. LeoVegas Casino promises every new customer a deposit bonus up to €1,600 plus 300 free spins when they sign up. A few other casinos offer generous welcome bonuses like this which are unlocked over your first and second deposits, but LeoVegas Casino goes further by giving your bonus and free spins over your first four deposits. Each deposit must be a minimum of €10 to enjoy this great offer and there is an extra bonus on your first deposit, giving you 200% if you deposit €50 or more. The free spins can be played on great slots such as Mega Fortune Dreams, Dazzle Me and Starburst within 3 days of the issuing date. The deals don’t end with your welcome bonus at LeoVegas as there are plenty of promotions to enhance your gambling when you stay and play. There is something for slot lovers, live casino players and card game experts on the promotions page, so keep checking it out for your next great deal. There are always one-off and seasonal offers available at LeoVegas to keep your membership fresh and interesting. Currently, there is a royal weekend promotion happening, where players can take part in tournament to win cash and free spins. Each weekend has a different game with an open tournament in which to participate and climb the leaderboard to the prizes. There are also competitions with glamorous prizes to be won, with a current draw to win one of four trips to the world’s most popular casino cites. Play on any live casino table and for every €10 wagered, you will gain 1 ticket to the prize draw. Each week is an opportunity to win a trip for two somewhere new, Monte Carlo, Lisbon, Macau and Las Vegas. If you miss out on the big trips, there are also big cash prizes for the runner ups. If you like to keep on being rewarded for playing like normal, then you’ll love the LeoVegas VIP Experience. Your VIP Level increases every time you play, which can be tracked using the VIP bar to see how far away you are from your next one. The biggest reward from being a VIP player is the monthly prize draw which gives away great stuff like Apple products, VIP event experiences and cash. Every month one player from each VIP level will be chosen as winners and given a code so they can choose a reward from the prize shop. Other VIP benefits include dedicated account managers, birthday rewards and LeoVegas Roaring Reward bonuses. LeoVegas Casino was created especially to be enjoyed on any mobile platform and doesn’t call itself the King of Mobile Casino for nothing. After all it did win ‘Best Native App’ at the 2017 EGR Marketing and Innovation Awards. From the fully optimised browser site to the great app, available on Apple and Android, all new players will be glad to be able to take their new favourite casino out and about. 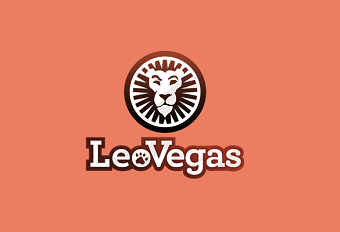 When you enjoy offers and promotions from LeoVegas Casino, it is best to stay aware of terms and conditions that are standard across the entire online casino industry. Keeping these few things in mind will ensure that you won’t fall afoul of a missed piece of fine print and lose out on a great casino bonus. If you receive bonus money or winnings from free spins, including those awarded in the new customer offer, will be subject to wagering requirements, an industry standard condition found in every online casino. This means that a certain amount of money must be wagered on casino games before that bonus is withdrawable. In the new customer offer, this requirement is set at a 35x bonus, so if you receive a €10 then you would have to wager €350 before making a withdrawal. Different casino games contribute different amounts to the wagering requirements, with slots contributing the most and table games and video poker contributing the least. It is always worth checking this if your playing style favours one type of game. Sometimes certain payment methods are excluded from deposit bonuses so it’s best to double check the terms to make sure you won’t lose out. For example, Skrill and NETELLER do not take part in the welcome offer, so it is best to deposit with another method such as Trustly, Paysafecard or PayPal.